I'm the kind of person who has never cried over hair. Honestly, in 26 years of my life I've never had such a bad haircut that it put me in a negative mood, so probably it was meant to happen eventually. Even when I was little and my mother cut my hair like a little boy I didn't care, it was all good. While visiting Bucharest I decided to book an appointment to have my hair cut. I was looking to refresh it, cut the ends off and make it flow nicely again. Strangely, I wasn't looking to cut it into a bob style. I say strangely because I usually let my hair grow extremely long only to have it transformed into a short bob. Not this time! At the hair appointment I let the guy know the desired style and effect telling him to cut about 3cm from the length, but letting him know that if it would end up a bit shorter I wouldn't mind. Was this my huge mistake? Giving him the opportunity by saying I wouldn't cry over a haircut. Who knows! What I do know is that by the end of it my hair was 10-15cm shorter with 3 straight layers. Nothing blended, it looked horrible! A two year old would probably have done a better job. Just to put it into perspective, it was so bad I had to book a second appointment, obviously elsewhere. So let's get to my 5 tips for dealing with a messy/disastrous haircut. 2. Book a second appointment. Instead of moping around about how horrible that experience was, go ahead and book another appointment to fix the situation. This time be very explicit about what you want. Have some inspirational pictures prepared with you to make sure the message get's across clearly and make sure to book an appointment with someone you trust. 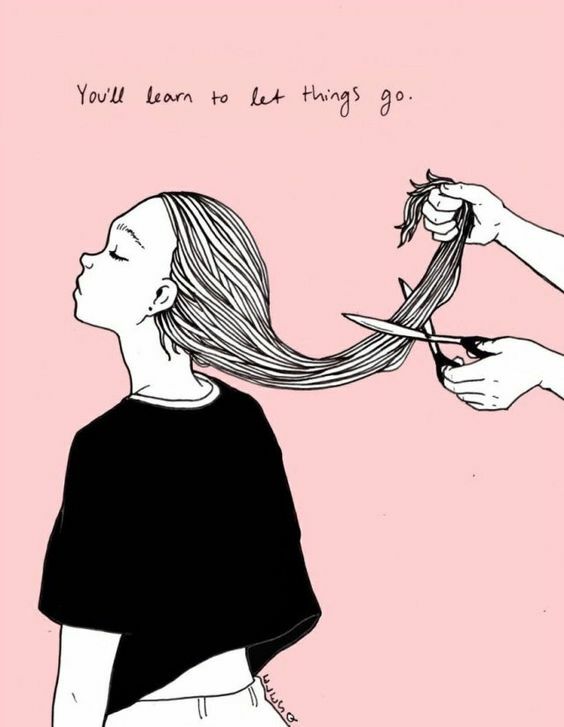 Something my hair stylist once told me was to be careful because not all hairdressers know how to handle every kind of hair. Some of us have thin or thick hair, straight, wavy or curly, it all behaves differently and needs someone who knows how to manage it. In my opinion a professional stylist should be able to create beautiful styles with all different kinds of hair, but sadly that isn't the world we live in. 3. Search new hair styles, you might be surprised by all the cute styles you could achieve. You could use tools, hair accessories or just create different braids to make it look cuter or sexier or simply your own kind of better. Trying to keep a positive attitude will for sure help a lot. 4. Treatments. If you feel like nothing you do to your hair brings out a smile, try researching different hair treatments meant to help your hair grow stronger faster. Something like doing a natural mask with castor oil and olive oil, but be careful as castor oil is a b*tch to wash out. Go on Pinterest, you will find loads of DIYs, most of them with ingredients you might already have in your fridge and pantry. 5. Report the crime. This one sounds so dramatic, however if you want to help others, which may make you feel better in the end, call the salon to tell them about your bad experience. You wouldn't necessarily have to give your name if you didn't want to. If you don't feel brave enough for that and the salon has reviews on different sites, you could comment about your experience. However what I find important here is to do it tastefully and thoughtfully. Explain your hair type, request and result at the hairdresser without trying to get that person fired, because like I said she/he might not be good with all hair types. This way people how have a similar hair type to you will know better and hopefully it will encourage more people to speak freely about their experience. Bonus Tip: If you can't wait it out, get hair extensions or a wig. This could end up being a lot of fun, you could experience different hair colors and hair cuts all while growing out your beautiful hair out. What are your tips for dealing with a bad haircut? I definitely agree that crying over a bad haircut is just a waste of time. I don't know why hairstylists feel like they can cut twice the amount of hair that you agree on. This happens to me constantly! Remembering that it grows back is great mantra! Oh no! I normally am not fussy about anything in life, but hair... I may be. :) I once had a horrible hair mistake by someone I knew and I think she did it on purpose. But then it grew, although I never forgot that experience. II agree with you, spread the name of the person who did a bad job, to spare bad experiences to friends! you're right! Hair will always grow back but at the same it can be so distressing as our hairstyle defines us!! amazing post, so interesting, useful and educative! These are great tips for dealing with a bad haircut! I am lucky to have not had this experience yet! This is such a good read, and yes, I do the #2 too (book 2nd appointment).